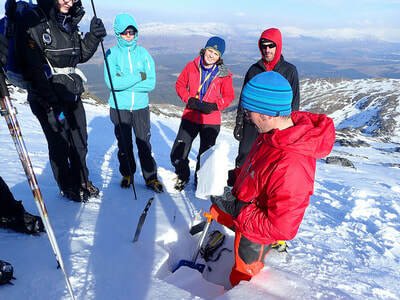 Our popular Winter Workshops will be running again for the Fort William Mountain Festival in February 2019. Join a full day Winter Walking Skills Workshop to learn all the basic skills you need to start exploring the Scottish mountains in the winter. An Avalanche Awareness Workshop will teach you how to recognise when and where avalanches may occur, and how to avoid them, then finish off your long weekend in style by joining fellow winter enthusiasts on our Ben Nevis Guided Walk. Each Winter Skills and Avalanche Awareness Workshop starts at 8.45am at Nevis Range where we take the gondola to 650m, getting on to the snow and ice with minimum walking time. We finish for the last gondola back down at about 4.30pm so you get a full seven hours of coaching. The Ben Nevis Guided Walk starts at The Ben Nevis Inn, Achintee at 8.30am. It will take 4 to 5 hours to reach the summit and 3 to 4 hours to descend again so we'll be back down by around 5pm. The Ben Nevis Inn is an excellent place for a debrief at the end of the day! Are you climbing at about grade IV or V, and keen to now step it up a level? 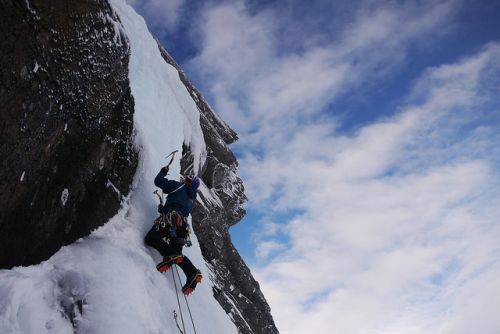 We will once again be running a two day Performance Winter Climbing Workshop. Join one of our experienced guides to learn the skills and techniques that you need to finally climb that harder grade. Can't make the dates below? Have a look at our Winter Skills, Avalanche Awareness, Ben Nevis Winter Ascent and Winter Climbing courses to make a private booking. ​If you are interested in joining one of the workshops please get in touch to check our availability and make a booking. 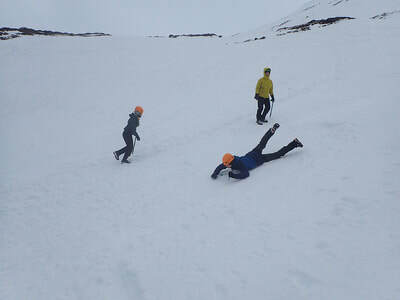 Aimed at winter novices and covering basic movement skills, ice axe and crampon use, self arrest and route choice. If you have some summer walking experience and want to find out what is involved in winter walking this is the one for you. For people with some winter experience who want a more in-depth knowledge of avalanches and how to avoid them. A brief theory session is then followed by a full day of snow analysis all over Aonach Mor. Suitable for everyone who enjoys getting out in winter: skiers, snowboarders, winter hill walkers and climbers. 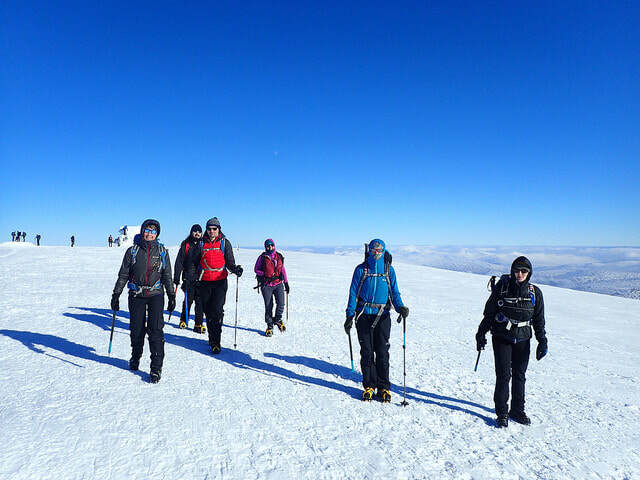 Your opportunity to reach the highest point in the UK in full winter conditions with the expert guidance and care of a Winter Mountain Leader. The route does not entail any steep ground but the use of crampons and an ice axe is likely to be required. If these are new to you, come on a Winter Walking Skills Workshop to be fully prepared. Day one will be spent indoors looking at movement skills for ice and mixed climbing, then put everything into practice during a guided climb on day two. You will need to organise accommodation, lunch, personal equipment and insurance. The weather in the Scottish mountains can change in a matter of minutes. Snow is likely and it can regularly feel as cold as -20 degrees Celsius on the summits. Make sure you are ready for your day by packing the items on the list below.